Tour. Trip to Golden ring. Tour to the cities of Russia. Trip to Russia. Legendary tour. The 'Golden Ring' (Zolotoe Koltso) is a modern name for a loop of very old towns north-east of Moscow that preceded the present capital as the political and cultural heart of Russia. The towns' churches, monasteries, kremlins (city forts) and museums make an incredibly picturesque port-folio of early Russian craftwork. Another attraction of the region is that some of the towns are really little more than villages, providing a peaceful glimpse of country life as it is lived all over European Russia. What you certainly should see is also the "Golden Ring" north east of Moscow which is a ring of ancient cities and remarkable monasteries like Sergiev Posad, Vladimir, Susdal, Rostov Velikiy and Kostroma. Tour R0301. 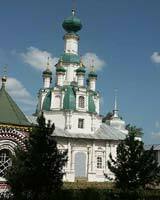 Moscow – Suzdal – Vladimir – Diveevo – St. Petersburg (11 days / 10 nights). This tour starts at the capital of Russia - in Moscow. After when you will introduce with this historical city your trip will continue at the oldest Russian cities like Suzdal, Vladimir. The tour will be over at the Northern capital of Russia - in St. Petersburg. 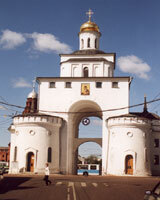 Tour R0203 Moscow – Golden Ring (7 days / 6 nights). During these days you will be driven by the famous "golden Ring of Russia". This trip will suit for those people who are interesting in history, culture of Russia. You will visit the big and small Russian old cities. You will be introduced with the unique monuments of Russian architecture. You will see the frescos of Andrei Rublev. The restaurants of the Golden Ring will offer you the meals of Russian kitchen cooked by old receipt. After this trip you will know better the history of Russia. By you request we can offer you the individual tours. If you are interesting at the something special or you want to know more about history of Russia please write us and we will fulfill your wishes.